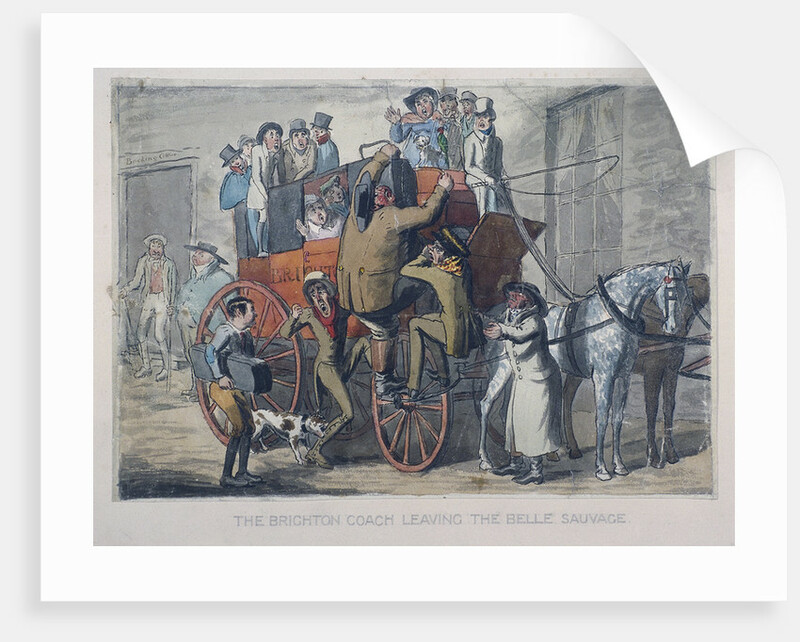 'The 3 Browns booked for Brighton, and only one place: the Brighton coach leaving the Belle Sauvage', c1840. 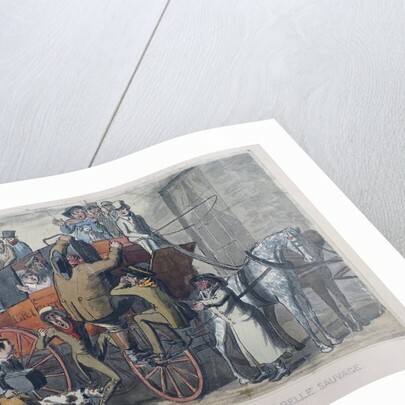 Satirical scene showing a crowded coach leaving the Belle Sauvage Inn, Belle Sauvage Yard, London. 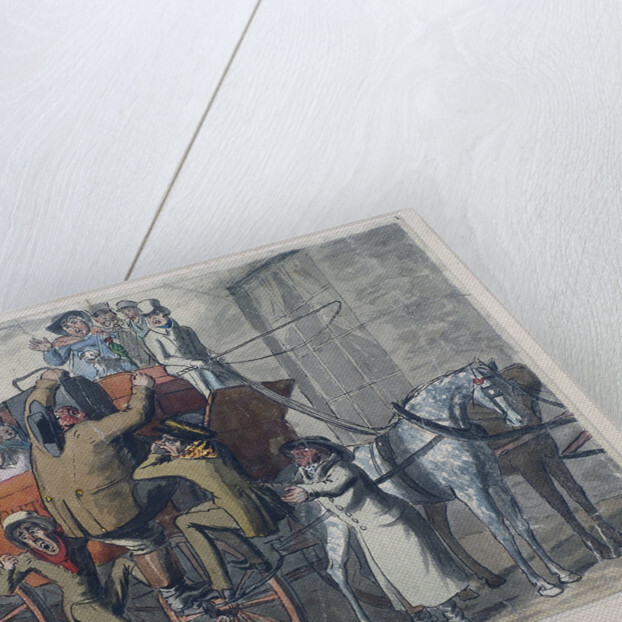 The three Browns are scrambling to board the coach; a dog bites one on the leg.